It’s easier than ever to find digital software to create practically any effect for any subject matter your soul desires. There is also a range of prices to accommodate different budgets and professional levels, with premium, middle grade, open source, and free options, including subscriptions. Software on mobile and tablets are also increasing in popularity for added flexibility. Before you dive into purchasing software, you should first research the features available and which ones sound right for you. Considering presentation options early is a good idea, especially if you know you’re going to print your finished image. The material onto which you’re printing can be overlooked, but it’s helpful to have in mind while brainstorming image size, colour palate, style, etc. The options available at Printpartner.caoffer a nice survey and range of mediums, including acrylic, canvas, metal, and a list of quality photo papers with a variety of finishes for any desired effect. Your image can be uploaded with customized selections for size, medium, and display options. Their boutique and handcrafted printing services are for professionals, so they use archival, museum-quality materials and techniques. As for software, there are a variety of features that many programs have in common, so it’s their specialities you’ll want to scope out. 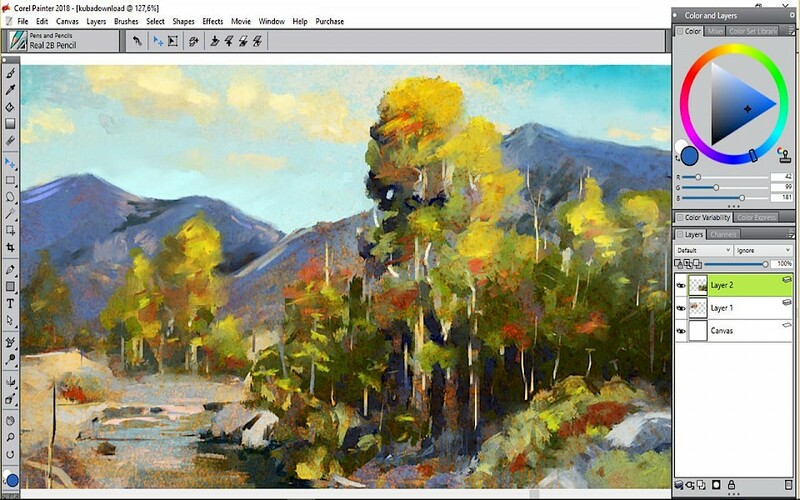 More comprehensive programs have access to thousands of brushes and you can tailor this collection by downloading more and even creating your own styles. The qualities of the brushes can be further altered for ultra-specific use. Another reason knowing the medium matters: a traditional canvas with a hand-painted brush is quite different from sharp and sleek lines on reflective, face-mounted acrylic. If you’re trying to replicate the feel of hand and brush on paper or canvas, you’ll want realistic pencils, oil, ink, watercolour, chalk, and acrylic brush effects.A program that can give a realistic impression of mixed colours, layering, thickness, blending, and drying is key. Some programs allow for smearing and water droplets to spread.Even if you’re not into creating 3D art, it’s fun to play with a program that offers it to expand your horizons and experiment. You’ll appreciate an easy-to-use interface designed by developers who spent time considering quality UX when you’re in the middle of working but can’t figure out how to execute an effect. Tutorials and help features should be built into the experience. You can certainly find YouTubers who are happy to explain, but it’s preferable if the primary program is intuitive and has an abundance of easily accessible assistance. Your experience level should also inform your choice. Beginners don’t need to waste money on top-of-the-line programs from the start. Conversely, some professionals are perfectly at home using open-source and free options depending on their style and shifting budget constraints. More expensive software doesn’t always equal better-quality works of art; however, there are probably more built-in features that don’t require a lot of meddling and tinkering as well as customer support available. It’s handy to have software that can be upgraded and added to, depending on your progression. Reviews are your friend—be sure to look at ratings where a large bulk of users have provided rankings to get an accurate picture. For help with a variety of software choices, check out this article from Medium.